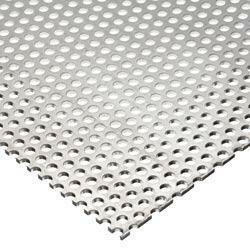 We are one of the prominent manufacturer and Supplier of quality Perforated Sheets. The metal perforation is performed in all gauges available between 36 SWG and 10 SWG and the numbers of perforations can be adjusted according to the clients’ needs. The metal plates are available with holes of different shapes like long holes, round holes, oblong holes, rectangular shaped, square shaped, star shaped, dashed holes, and many other shapes as illustrated by the client. We are the leading supplier all over ahmedabad, gujarat, India. 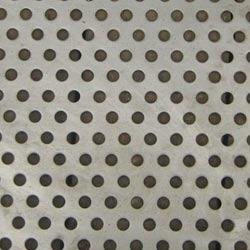 We are Manufacturer of Perforated Sheet to our honored clients. These sheets are manufactured under the supervision of our expert team in accordance with the industry set norms and specifications. Appreciated for their seamless finish, corrosion resistance and uniform thickness, these sheets are widely demanded in heavy metal industries. 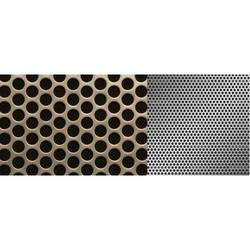 Our organization is counted among the leading manufacturers and suppliers of highest quality Perforated Aluminum Sheets. These sheets are precisely engineered from good quality aluminum in accordance with industry set norms and parameters. Offered sheets are widely appreciated by the clients for their dimensional accuracy, fine finish and rust resistance. The sheets we offer are available in various grades and user defined specifications. 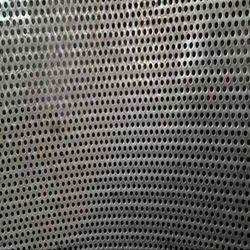 We are among the leading manufacturers and suppliers of optimum quality Perforated Metal Sheets. Manufactured from high quality metals in compliance with the industry laid parameters, these sheets are available in various shapes. The sheets we offer are acknowledged by our clients for their smooth finish, uniform thickness and rust resistance. Furthermore, these sheets are offered in customized dimensions. 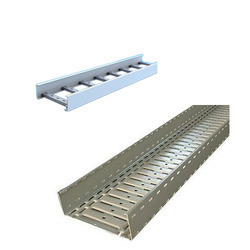 We are offering a superior quality range ofPerforated and Ladder Type Cable Trays. The products offered by us are procured from the reliable vendors of the market, who manufacture, these as per the defined industry standards. his range has gained wide appreciation among the clients. We are one of the prominent manufacturers and suppliers of optimum quality PerforatedSteelSheets. These steel sheets are manufactured under the strict supervision of our expert team in compliance with the industry set parameters. Offered sheets are available in various grades and dimensions. Known for their seamless finish, corrosion resistance, uniform thickness and durability, these sheets are widely demanded in various heavy metal industries. 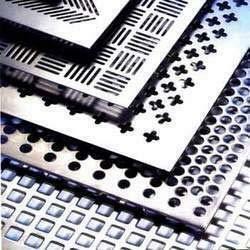 We are the leading supplier & provide specially Protective Perforated Metal Sheetof different sizes and gauges. The metal perforation is performed in all gauges available between 36 SWG and 10 SWG and the numbers of perforations can be adjusted according to the clients’ needs. These sheets are highly galvanized in order to make them strong and in turn increase the protective factor. We provide these sheets at an economical prices.